I'm so excited to share this month's Technique Kit Video with you Paper Pieced April Showers....it features the fun of paper piecing, ink splattering with Distress Ink and sequins! 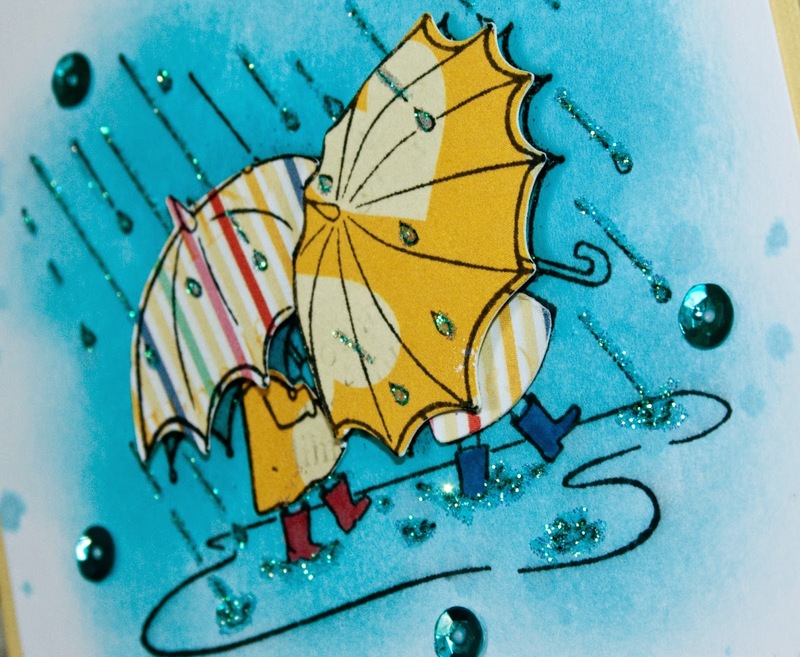 April Showers Stamp Set is one from a new artist at SNS, Jan Mahew, and she has shown her drawing talents in many different areas and you will be seeing more of her beautiful images! Sequins have also made it into the stamping realm lately and are a real fun addition to your card...and putting all 3 of these techniques together really makes for a fun card! You can watch the video here to learn how to bring it all together! There are also several other stamp sets making their reveal this month...you can see them all on the SNS Blog here, along with seeing what the other designers have done!